As challenging as effective recruiting can be for any industry, trying to find high-quality sales talent may be one of the hardest tasks facing any hiring manager—especially for a startup. After all, a world-class sales team can make all the difference in your ability to effectively find new clients, improve customer satisfaction, and grow your business. There are plenty of valuable attributes hiring managers should look for in a successful sales professional, including coachability, shared values, and other traits that will allow them to easily blend with your team. Unfortunately, there are some things that show up through the hiring process that frequently receive a lot more weight than they should. Hiring managers may get excited when these topics come up, but in reality, some of these attributes may not actually make that much of a difference. In some cases, they could actually have a negative effect on your future sales results. Yes, industry-specific experience can be a valuable bonus when hiring new sales talent. Unfortunately, many hiring managers have a tendency to let the fact that someone once worked for a similar company overshadow attributes and experiences that are actually much more important. For example, while a sales candidate may have prior experience selling digital marketing software, that doesn’t mean that they have the capabilities to sell your digital marketing software. After all, there’s a big difference between pay-per-click marketing campaigns and social media management tools, even though they both fall under the same umbrella of digital marketing. The differences in what companies in the same industry offer can impact everything from your sales cycles and price points to your target audience. While industry-specific experience can be valuable, a better bet is to look for individuals whose experience includes selling products or services that are directly comparable to yours in terms of pricing, value propositions, and target audience. Not all sales jobs are created equal. In fact, some sales professionals don’t spend any of their time acquiring new customers—rather, they make a living by taking care of preexisting customers and ensuring their continued satisfaction. Or they might serve in a managerial position, overseeing the work of a sales team rather than making sales themselves. While there’s nothing wrong with those types of responsibilities, most startups are far more worried about building that customer base in the first place—as they should be. A sales professional whose prior experience landed more in the “caretaker” or managerial side of the industry may have made countless calls each day, but that doesn’t necessarily translate to the ability to demonstrate the ins and outs of your product and close a sale with a potential client. 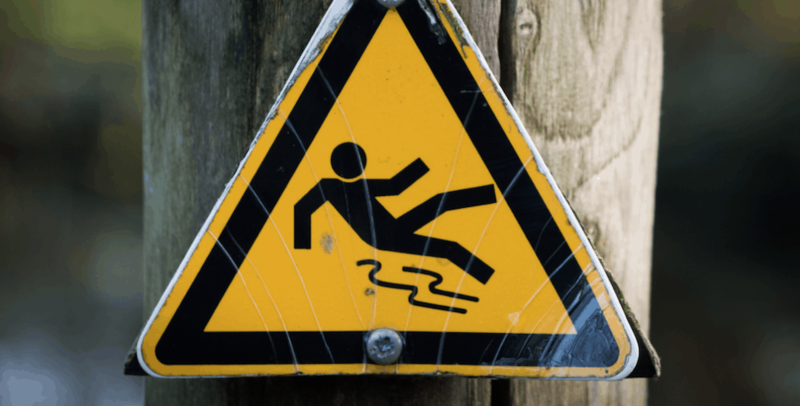 So how do you avoid this sales hiring pitfall? Dig deeper into a sales candidate’s experience. If their prior work at other startups doesn’t include the exact type of sales tasks you need help with, you’re probably better off looking elsewhere. Each company has its own unique sales cycle, and if you don’t pay careful attention to these differences during the hiring process, it could result in quick burnout for your new hire and less-than-stellar sales results. This ties in to the point regarding industry-specific experience, namely that different products and services—even in the same industry—often result in vastly different sales processes. There are few areas where this more apparent than in the sales cycle. While some companies are able to utilize a short sales cycle where team members can close a sale in a single call, others might require a more gradual approach. This is especially true of B2B software companies. Some offer a free 30-day trial as part of their sales funnel, while others get customers to make a full purchase or subscription after a single in-person presentation. Even though the products are similar, the sales cycle is completely different. A sales representative may have excelled in a one-call sales environment, but that doesn’t necessarily mean they have the unique skill set—or the patience—that is often required when dealing with a longer sales cycle. The closer of a match you can find, the better. It’s something we see all the time in business, politics, and even the sports world. An organization will look to a “big name hire”—a well-known individual with a track record of success with an equally well-known company or team. You’ve probably been tempted to look for a similar hire to boost your company’s panache and results. However, when it comes to startup hiring, going for a “big name” from a “big company” is probably one of the last things you should do. Famous, well-established brands and startups are worlds apart—and not just in their levels of market penetration. Sales representatives at big-name companies have a lot of luxuries that startups simply can’t offer, like pre-existing contracts and established marketing departments with a huge swath of resources. Startups generally don’t have either of these things—in fact, sales representatives at startups are often forced to rely on talent and determination alone as they build a client base for their company. A sales representative coming from a large company could have a difficult time adapting to the startup mentality and struggle as a result. Rather than looking for an expensive “big name” hire, you’ll likely get better results by looking for individuals with quality experience helping other startups get off the ground. Finding top sales talent isn’t always an easy task. But as you watch out for these hiring pitfalls, you can more effectively screen applicants and find the sales professionals who will actually make a positive difference for your company. Amy Volas is Founder and “Chieftain” of Avenue Talent Partners.